Welcome by today! 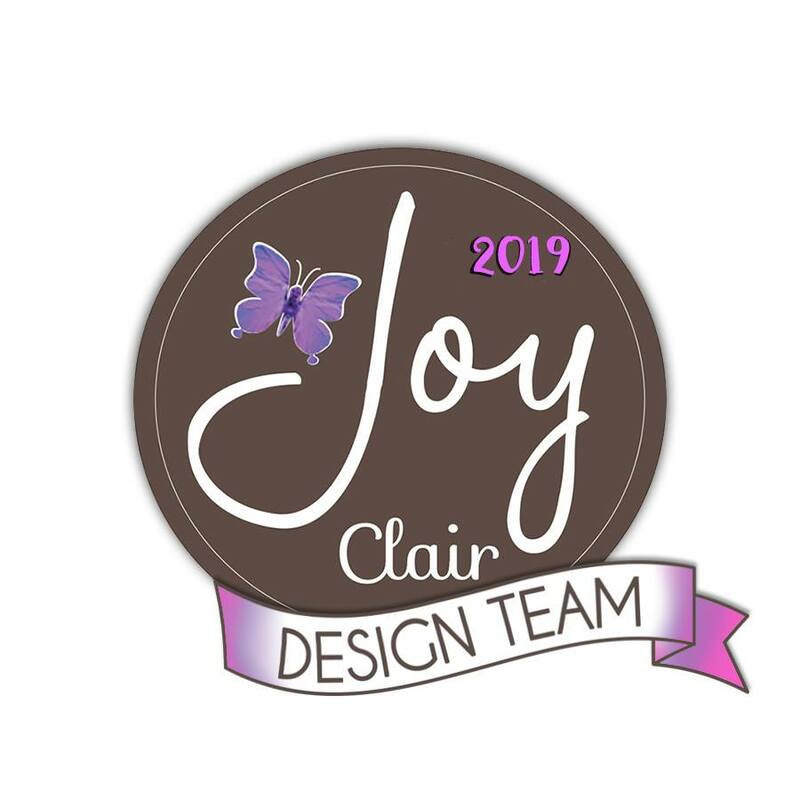 This is the first day of Lori Hairston's FABULOUS Visions of Sugarplums Blog Hop, and I'm participating today on behalf of Paper Sweeties, one of the fabulous sponsors of this special event. This is a three-day event, December 2 - 4, and there will be a challenge, lots of great inspiration, fun and prizes. You won't want to miss a thing! 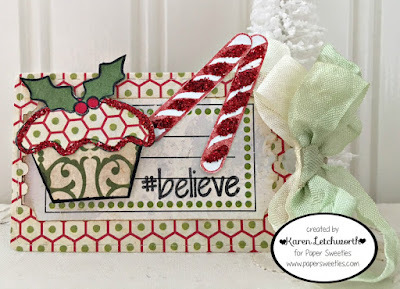 Today, I'm just sharing a quick and simple little Christmas tag with a few "sugarplum goodies" attached. 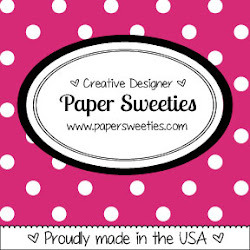 There are always lots of SWEET THINGS at Paper Sweeties to help you create something wonderful, sweet and delicious. 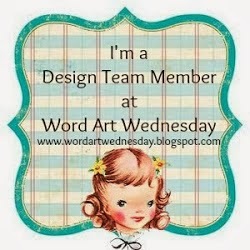 This tag was created using the fabulous For You Sweet Cuts. 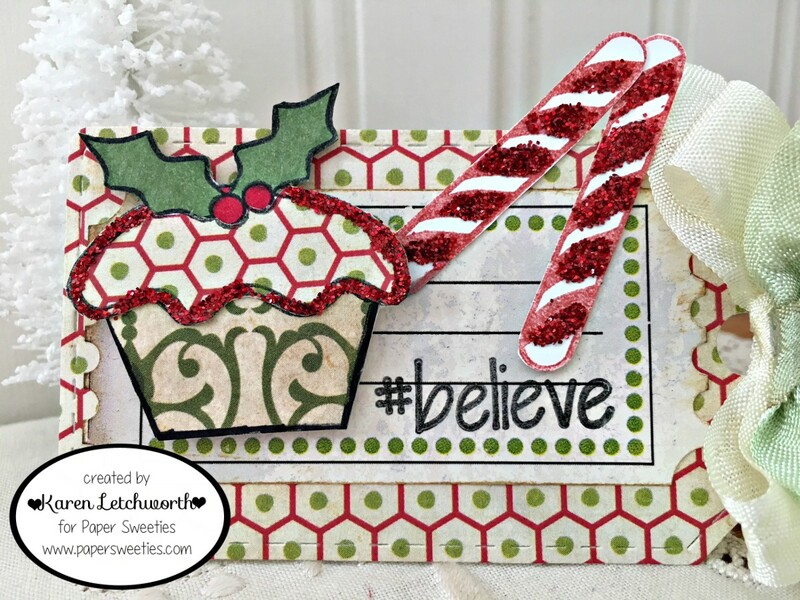 I stamped the #believe sentiment using the new You Better Not Pout stamp set. The sweet cupcake and cinnamon candy cane sticks are from the Homemade With Love stamp set, and I added red glitter to give everything a sugar-coated sparkle. The final touch was adding a lovely bow with Frosting Seam Binding and Mint Seam Binding. We hope that you will stop by Paper Sweeties to look around, and also be sure to visit the Visions of Sugarplums Blog Hop. Oh...and be sure to stop back by here again tomorrow as I share more of my "visions of sugarplums" for this special event. So CUTE! LOVE all the Sparkle!! Have a great Day! Rock star project!!! That glitter is so yum!!! darling little tag Karen - such cute paper and all aparkly!! Such a pretty, festive tag with the glittery cupcake and candy canes; my sweet tooth is tingling in seeing all this yummy goodness! 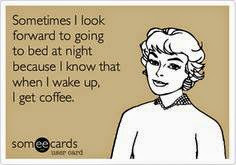 Thank you for the Saturday smiles! Your tag is fantastic with wonderful delicious images and sparkle. I also would love to win! So yummy, Karen ... I love all the sparkle and bling!!! Hi, Karen! Such a cute Christmas tag. Love that sweet cupcake and all the pretty sparkle! Very pretty - and also very yummy looking! 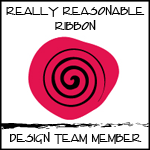 The ribbon is fabulous! Very sweet tag ! Thanks ! Sweet tag (pun intended lol !) Love the colors the print. That glitter is so festive, and just puts one in a happy place. Gorgeous card with yummy cupcake and peppermint sticks...so cute!! 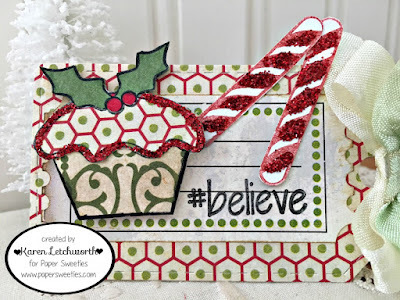 Super sweet tag Karen...loving all the glitter! Love the sparkle! So cute!! Karen, this card is awesome! I love how you made this cupcake! Perfect for the holidays! 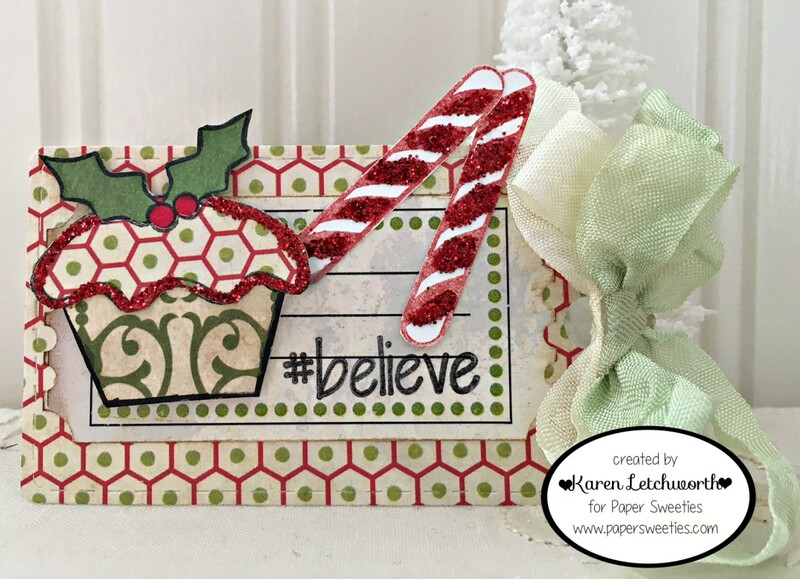 Love your super sweet tag in traditional Christmas colors! The glitter is the perfect finishing touch! Very cute gift tag I love the bow that you have chosen to go with it! Happy holidays! I love this tag and the sweet cupcake. 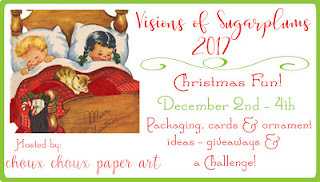 I would love to WIN a prize in the Visions of Sugarplums Blog Hop.